Oh, puns. They prompted Caligula to roast a comedian alive and Bierce to sneer at them as a “form of wit to which wise men stoop and fools aspire.” But my love of them, established early at the knee of my maternal grandfather, lives on. Puns and cracker jokes. I just can’t get enough, and they spill over into all areas of my life, like when I made up herb-related puns for the herb centrepieces I grew for a friend’s wedding. Still, dear readers, I’m sure you’ll forgive me? 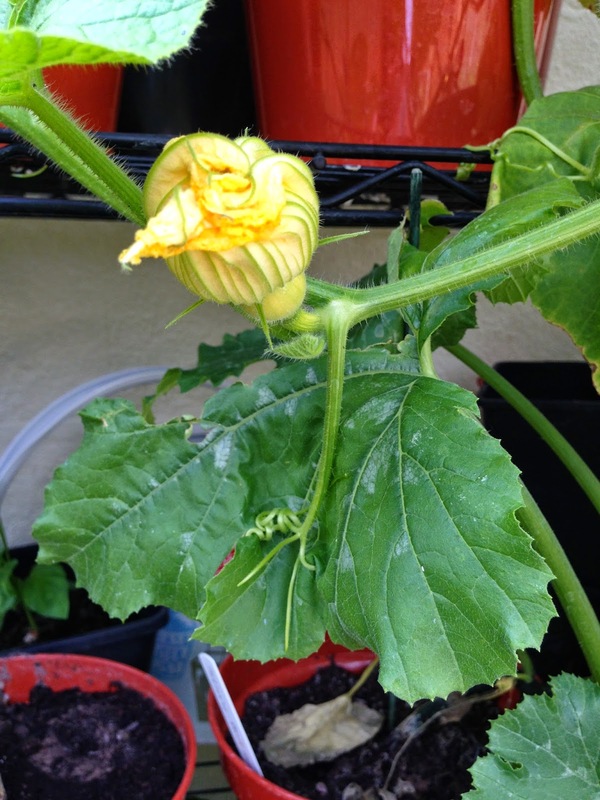 Because the squash in the garden really are going crazy. One of the things I’ve already learned this year is that less can be more. I’m not overly convinced that stuffing my outdoor shelving with as many plants in small pots as it can hold was the best of ideas. 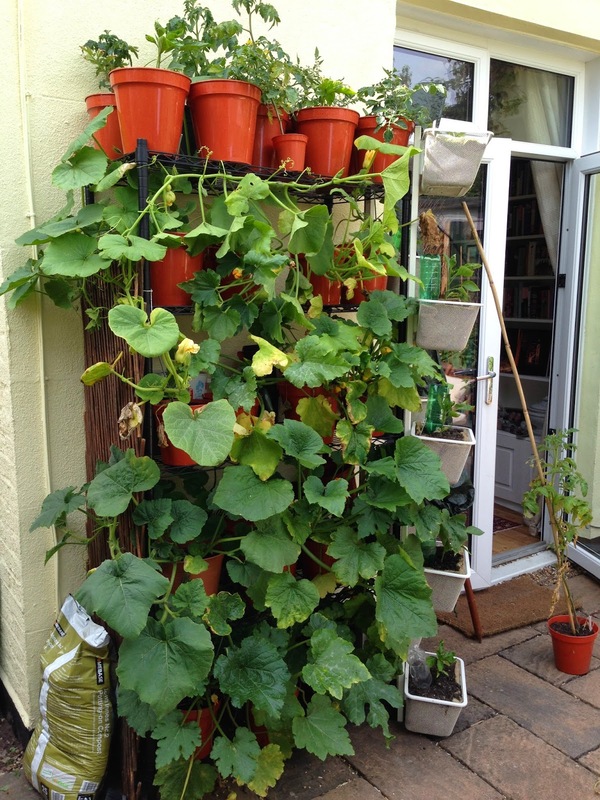 I suspect that using four larger pots per shelf would have been a better idea. Yet I have to admit, they are thriving! And, as you can see, they’re spreading to block sunlight from other plants with their huge leaves. 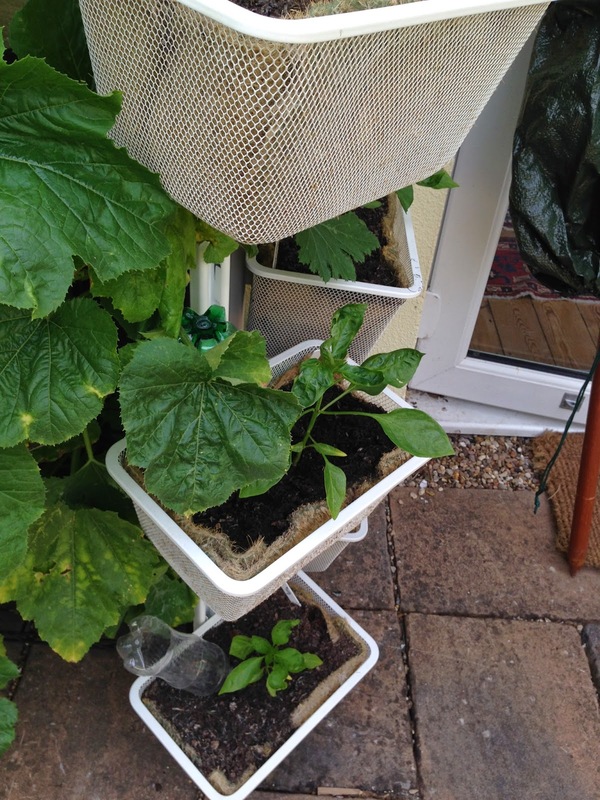 Eventually I suppose I’ll have to create little support bags for the squashes so that their growing weight doesn’t pull them off their vines. But for now I’m really enjoying watching them grow. They soak up water at an astounding rate too. 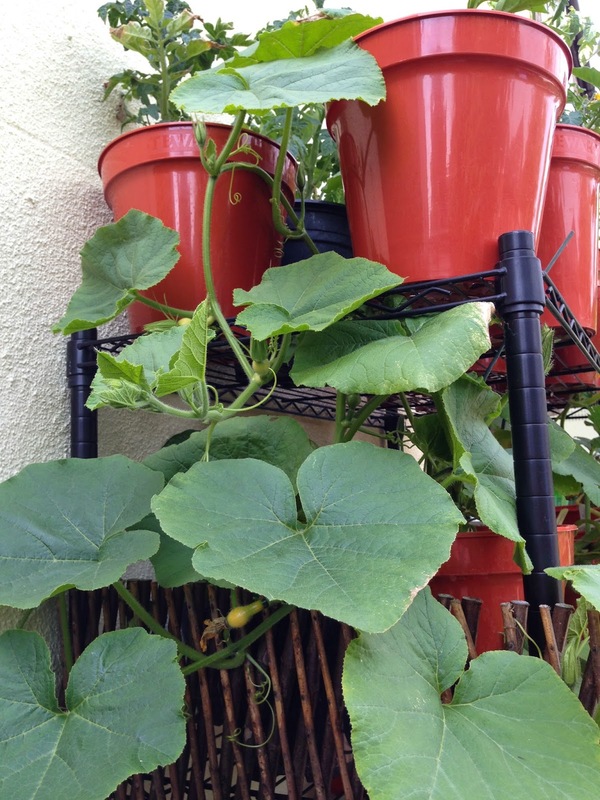 Next year I think I’ll deliberately position all of the squash plants next to the trellis on the side of the shelving so that the vines can cover that and so that the courgettes can get more sun. 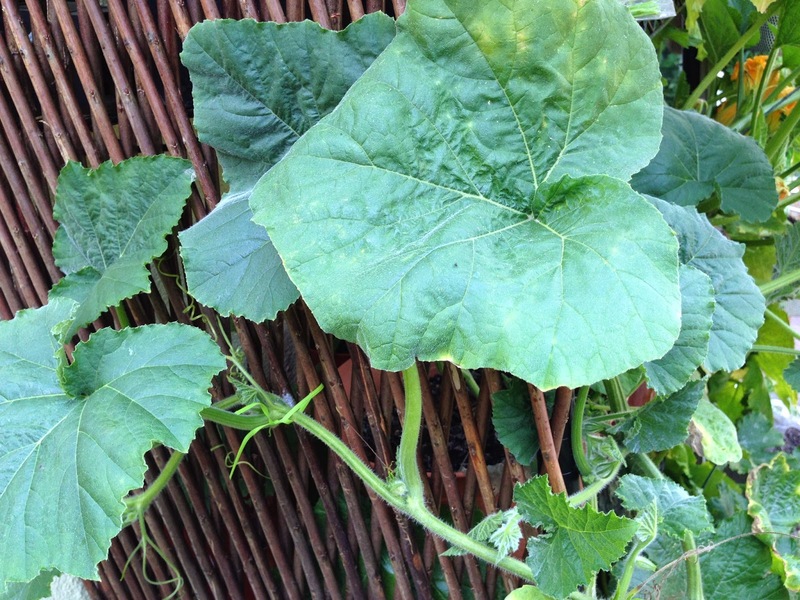 At the moment the squashes are really aggressive, threading their tendrils onto anything they touch, including leaves of other plants which they puncture. It’s all a bit creepily reminiscent of Day of the Triffids. I’ve got two winter varieties: Potimarron and Autumn Crown, both of which should be quite fruitful and yield 3-5 fruits per plant. We shall see!